While reservations should surely be had regarding the place of simulated reality in the current world—and in particular with regard to computer and video games—it is not necessarily the case that all such simulations reproduce hegemonic social relations. Such an assertion should not of course be taken as belittling the highly destructive role that the vast majority of such simulations have had, especially on contemporary youth: little can be said in favor of games that have users create empires, enslave and exterminate other peoples (or players), or employ nuclear weapons—as a great number of games heretofore created allow for and even encourage. Nonetheless, games, like film, can rebel against the monstrosities that prevail today, following the long-established ascendancy of alienated existence, thus helping perhaps to introduce or develop within users oppositional perspectives to the actual world in which they find themselves. 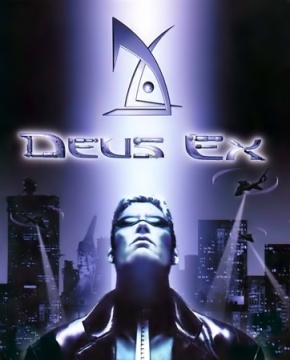 Deus Ex, a computer game released in 2000 that explores a highly dystopian future, arguably does precisely this; it can even be said that the game advances anarchist perspectives on society. Constituted power in Deus Ex is shown to be horrific in its maxims and behavior. Beyond the specific case of JC and Paul Denton, created by a “cabal of technophiles” who would even manipulate “the chemistry of our bodies” in their desire for power, world society in Deus Ex is depicted as being strongly hierarchical, with highly militarized institutions dominating “the underclasses,” who in large part seem to be materially impoverished and socially excluded; the various homeless individuals encountered by JC in New York City attest to this, as does the community of so-called Mole People who, forgotten by the rest of society, reside in tunnels below the city. The peoples of the world in Deus Ex are threatened by the Gray Death, a highly lethal virus produced by the Versalife Corporation, which also holds as its intellectual property the vaccine Ambrosia designed as an antidote to the virus. Resistance against the depredations of Versalife come by means of the “terrorist” National Secessionist Force (NSF), which at the opening of the game has taken control of a number of Ambrosia vials so as to distribute them to “the people.” As is to be expected from the State, JC Denton is ordered by UNATCO to recover the expropriated Ambrosia, in the process killing or rendering-unconscious a great number of NSF operatives (players can choose to employ non-lethal tactics against those who would oppose JC’s actions). While searching for the Ambrosia containers, JC learns that his brother Paul has in fact been aiding the NSF for some time, following his discovery that the Gray Death virus was indeed developed consciously by humans for repressive-genocidal purposes. Paul’s defection to the NSF sets in motion a frantic man-hunt by UNATCO, during which Paul suggests to JC that he “join the resistance” by sending a distress signal to his French counterparts from the radical group Silhouette. Heeding Paul’s recommendations, JC sends word to Silhouette, and subsequently joins his brother as a wanted man; he is eventually captured and taken to a UNATCO prison, following the activation of a 24-hour “kill-switch” introduced into his body by his developers. JC is aided in his escape by the rebellious artificial intelligence construct known as Daedalus, a being originally developed to process data for constituted power, and comes to meet computer specialist Tracer Tong in Hong Kong, who deactivates his kill-switch. Hong Kong, of course, is the site of a major investigative center maintained by Versalife; JC breaks into this facility, there to witness the macabre experiments and research carried out by scientists working for the corporation: the development of ‘transgenic’ beings, testing on humans, and so on. JC is guided by Daedalus and Tong to the location of the Universal Constructor in the Versalife building that is used for the production of the Gray Death virus and, in a Hegelian reversal, destroys it. This third option, which borders on being primitivist, is surprising for its radicality. Confronted with the profoundly horrible nature of the world as upheld by hegemonic power, players of Deus Ex are granted the option of exploding world-destructive inequality and hierarchy at a stroke. Such a perspective militates against that of social democracy and reformism generally vis-à-vis the world’s political predicament, whether that of Deus Ex or of the present world; surely only revolution can be considered the deus ex machina by which exit and survival are assured.